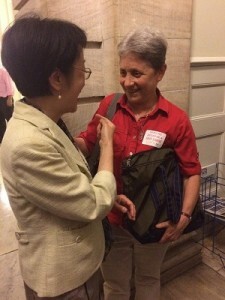 Welcome to the NYC Elder Abuse Center’s (NYCEAC) June 2015 roundup of the latest in elder justice news & resources. 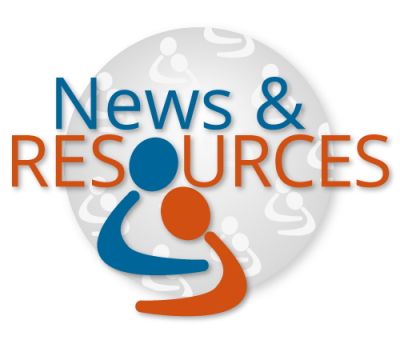 We’ve selected and analyzed the most helpful articles and resources relevant to elder justice professionals. If you would like to share a news item or resource with us, please contact us at info@nyceac.org or via our Twitter, Facebook, or LinkedIn. Kathy Greenlee, Assistant Secretary for Aging at the U.S. Department of Health and Human Services and Administrator of the Administration for Community Living (ACL) wrote a guest piece for NYCEAC’s Elder Justice Dispatch blog to spotlight WEAAD and emphasize that we can all make a difference in the prevention and detection of and response to elder abuse. A recent edition of the New York Times’ “Ask Real Estate” column responds to a concerned family member who suspects their uncle is a victim of elder abuse. With guidance from a real estate lawyer and Risa Breckman, NYCEAC’s Director, the column provides recommendations for removing an abuser from the older adult’s apartment. In a recent Huff Post 50 article, Richard Besdine, MD, Medical Officer for the American Federation for Aging Research, explains the serious consequences of elder financial exploitation. Citing recent research and news and experts in the field, Dr. Besdine explores current knowledge about this particular sub-type of abuse. Elder justice will be one of four primary discussion topics at the White House Conference on Aging (WHCOA) on July 13, 2015. In advance of this once-in-a-decade event, WHCOA staff have produced a policy brief on elder justice. The Consumer Financial Protection Bureau’s (CFPB) June 2015 Consumer Advisory and Investor Bulletin discusses the importance of planning ahead to manage one’s financial future in the face of diminished capacity or illness. The bulletin offers recommendations and resources to address these challenges. An eLearning course entitled, “Undue Influence Committed by Professionals” is now available though San Diego State University School of Social Work. Once a decade, the White House hosts a Conference on Aging. The 2015 White House Conference on Aging (WHCOA) will take place on July 13, 2015. For the first time since WHCOA’s inception in the 1960s, Elder Justice will be one of the central discussion topics. To learn more about WHCOA and how to participate in this historic event, visit the WCHOA website. The NYC Chapter of the Alzheimer’s Association is looking for a bilingual (English/Spanish) dementia care trainer. A description of this position and information regarding applying can be found here. The NYC Elder Abuse Center is seeking a part-time consultant for the role of Social Media Associate/Content Creator. A job description is available here; interested candidates should contact Cara Kenien at cak2017@med.cornell.edu.